Our offer also includes any required accessories for fixing plastic boards which you will surely adapt to your needs. With our solutions, it is possible to create any structure standing out by its high resistance to damage and external factors. We sell accessories both in standard lengths and adapt them to your custom structure. 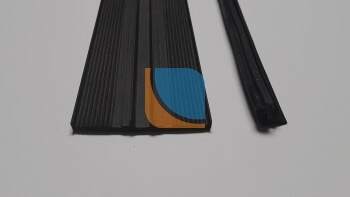 The upper aluminum connection profile is used to join two plastic boards. It can be fixed by screwing the profile from the top to the rafter with screws with gaskets. Note that this profile requires Ł gasket to be used to seal the joints. 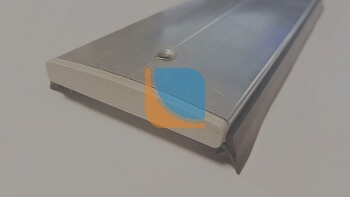 Enclosing aluminum profile type F is used to finish the polycarbonate board especially on the side of open chambers. It is used with vapor-permeating tape to protect against dust and insects that may be let inside the board. Enclosing profile type U is fixed on the side of open chambers in multi-chambered boards to avoid any types of pollution enter the inside. Connection profile type H is used mainly in the internal layouts to join two boards with each other. Gaskets Ł used in the upper profile – 2 mb per 1 mb of profile. Vapor-permeating tape is used to protect open chambers of a chambered polycarbonate. It prevents accumulation of moisture and dust inside the chambers, which contributes to formation of mold. The tapes also have a fabric for proper ventilation and are resistant to UV radiation. Upper profile plug gives aesthetic look and helps to protect the structure under the profile against unfavorable effects of weather.